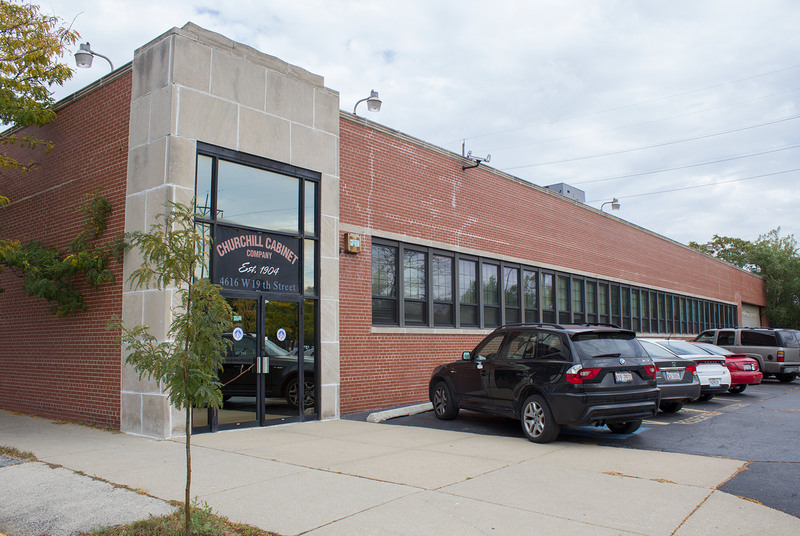 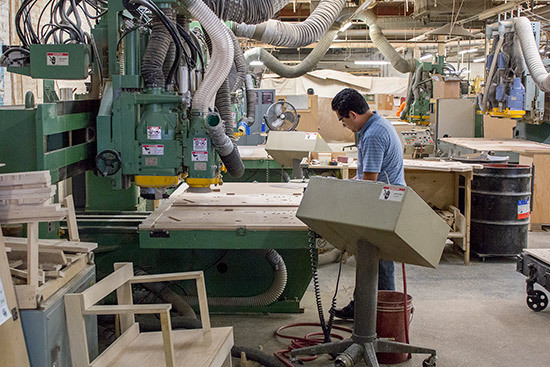 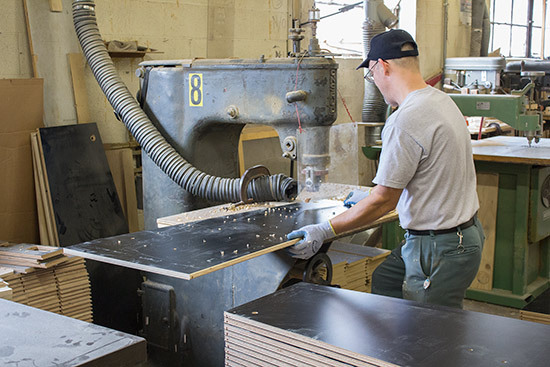 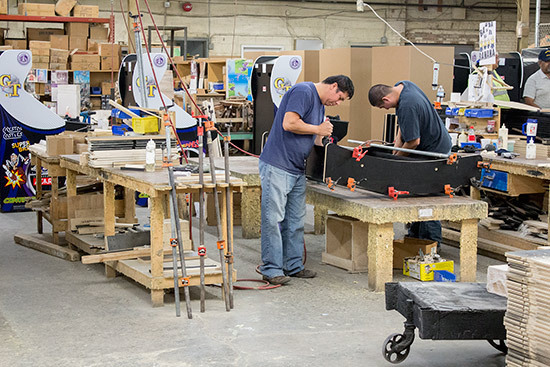 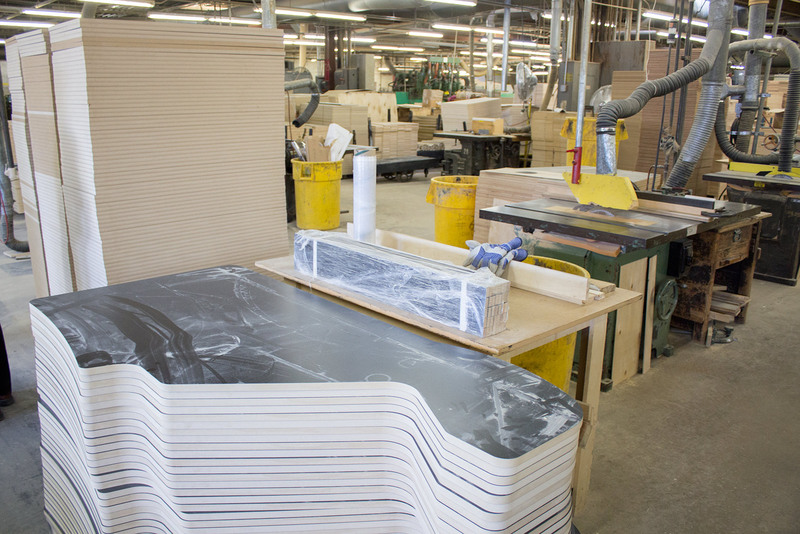 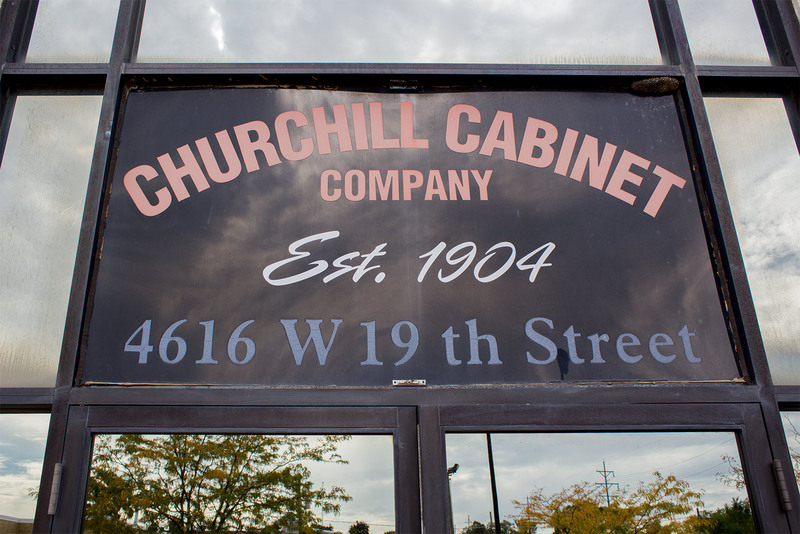 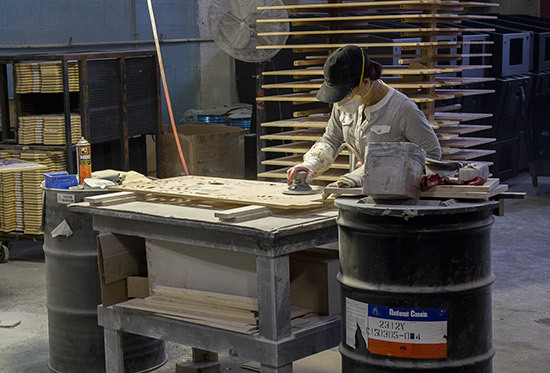 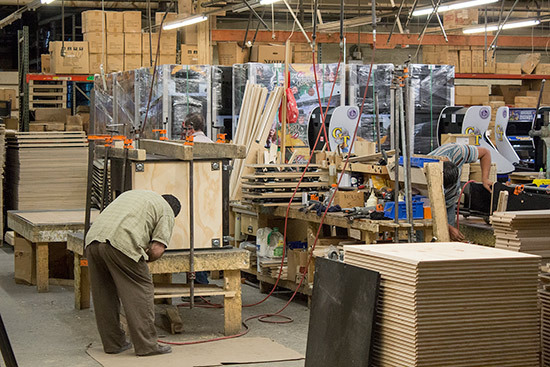 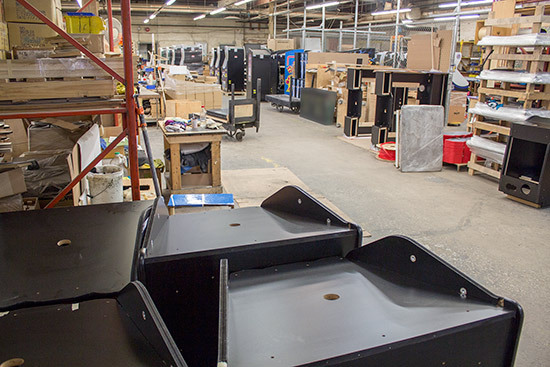 The company's core business of building cabinets and playfields hasn't changed greatly over the years, and upon entering the building it is apparent not much has changed in the reception area either. The wallpaper, carpet and sofa could all bear witness to the rollercoaster fortunes of the coin-op business since the '60s. 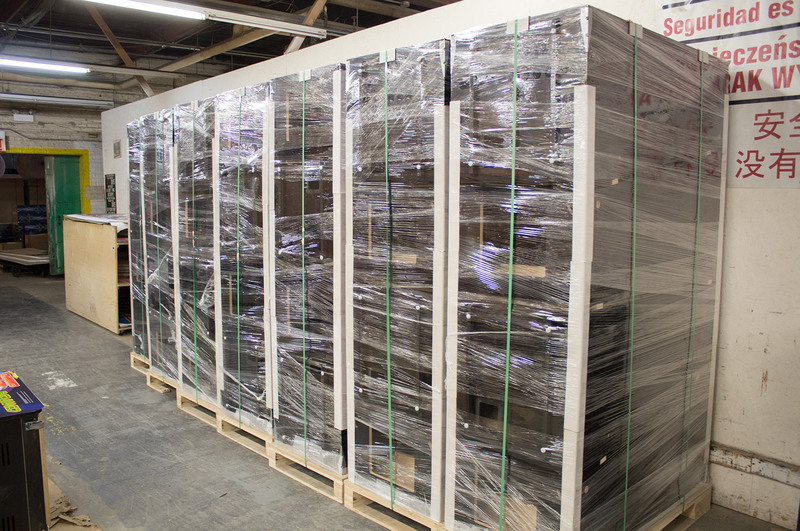 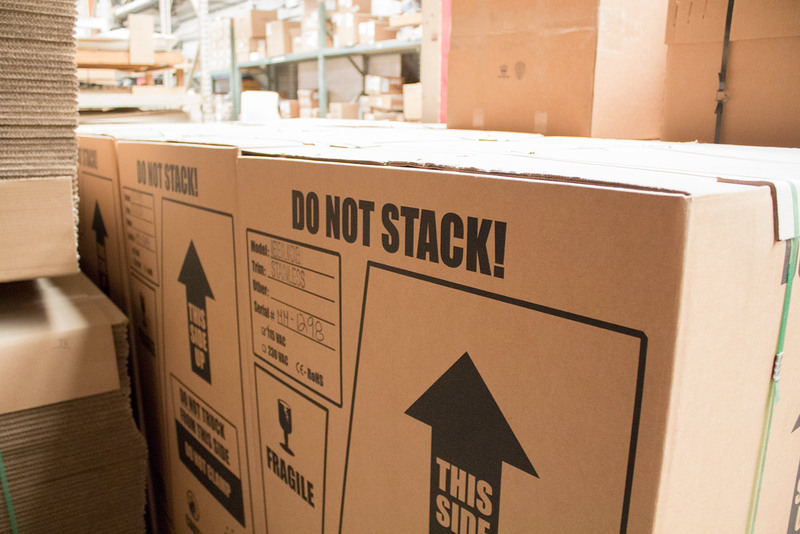 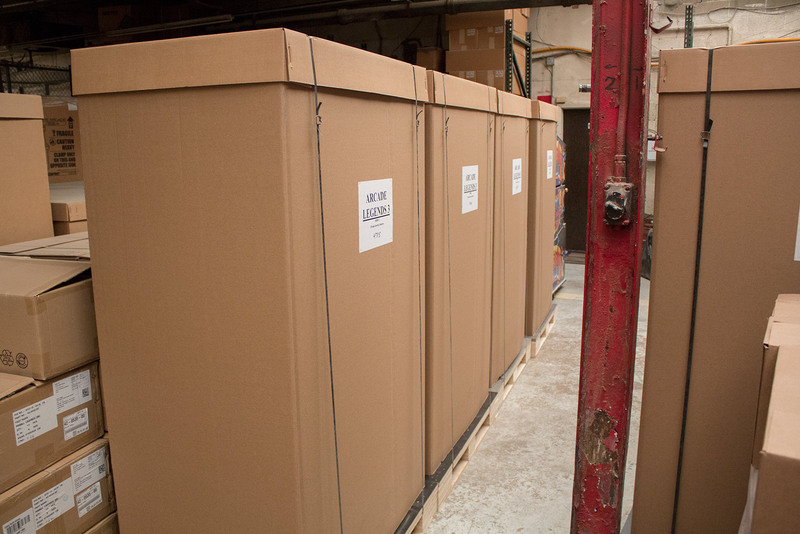 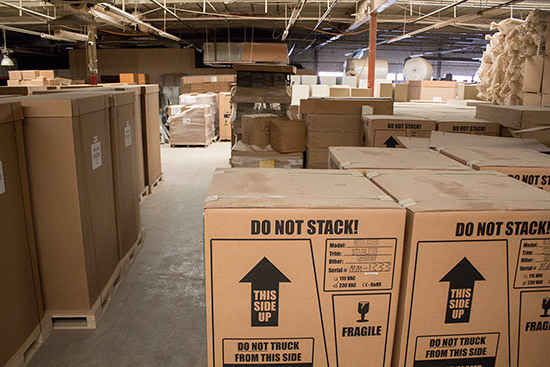 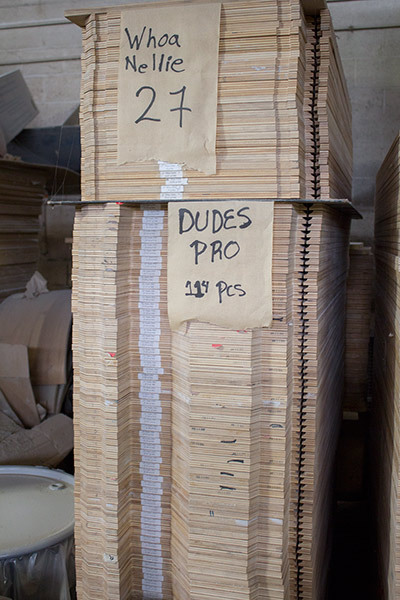 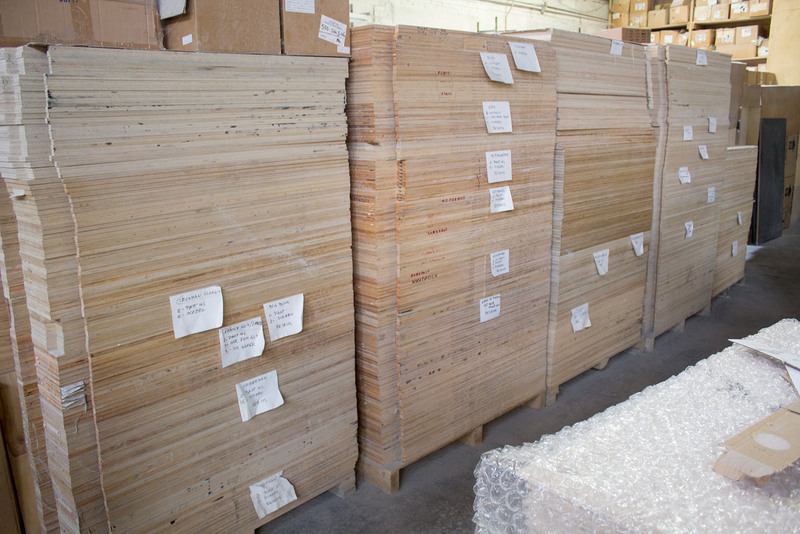 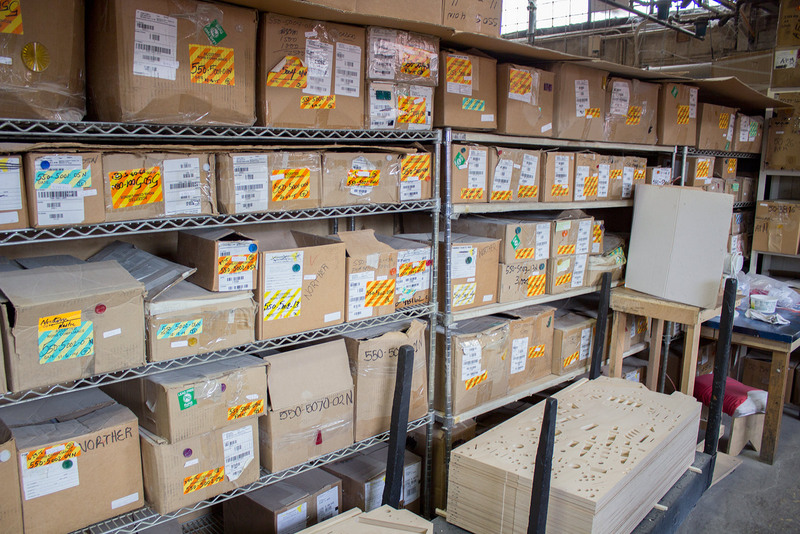 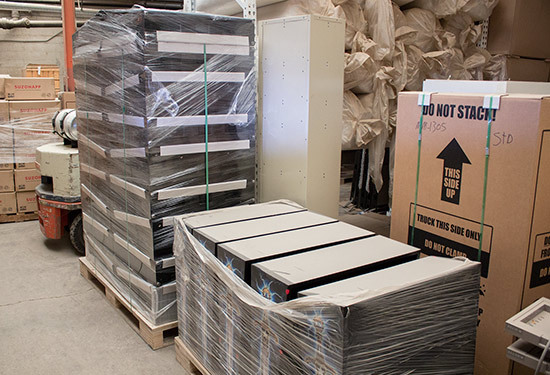 Walking into the factory we were immediately faced with numerous boxes of completed games awaiting shipment. 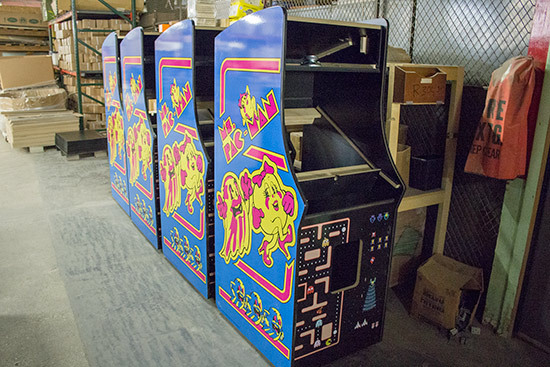 Medieval Madness remakes made up the majority but there were Arcade Legends games as well, with everything - and this is a theme we shall return to throughout the factory - coated in a fine layer of wood dust. Of course building the cabinets and backboxes for the Chicago Gaming machines are only a part of the company's business. 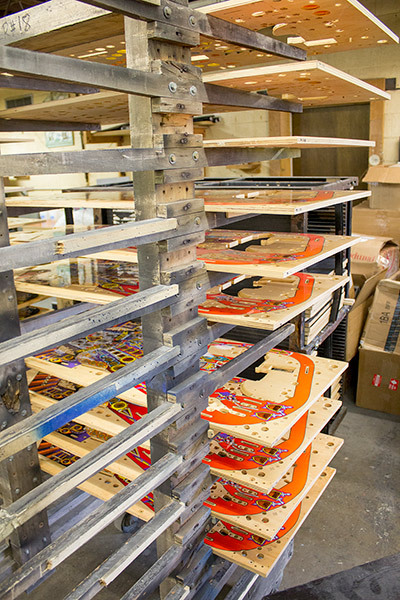 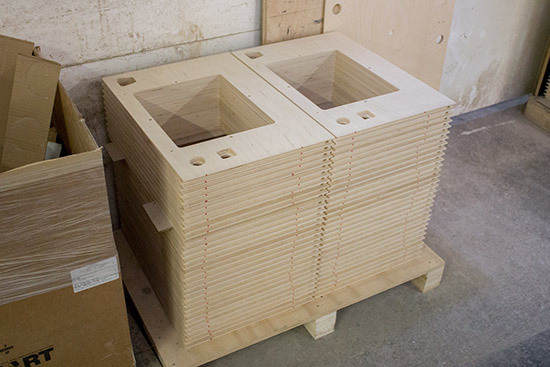 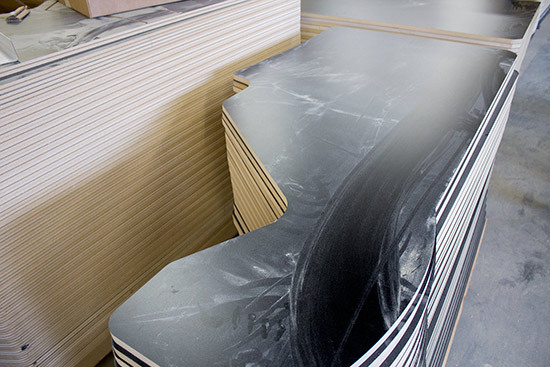 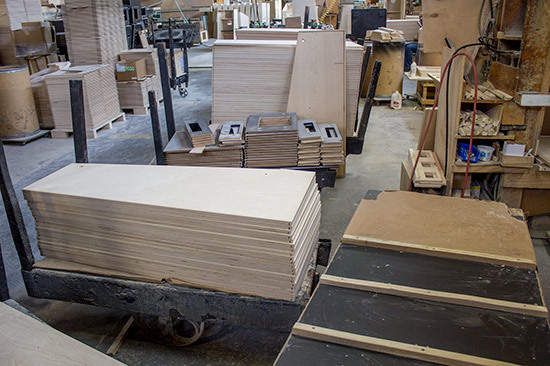 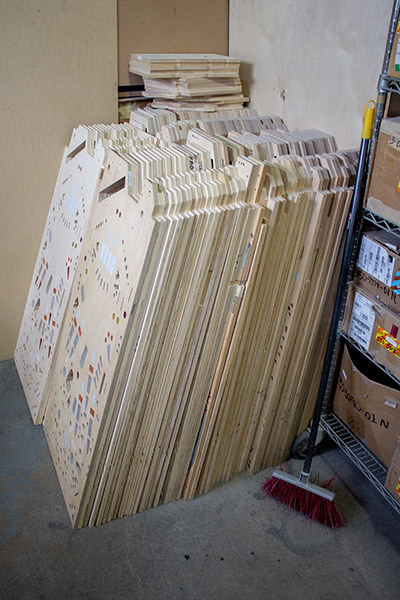 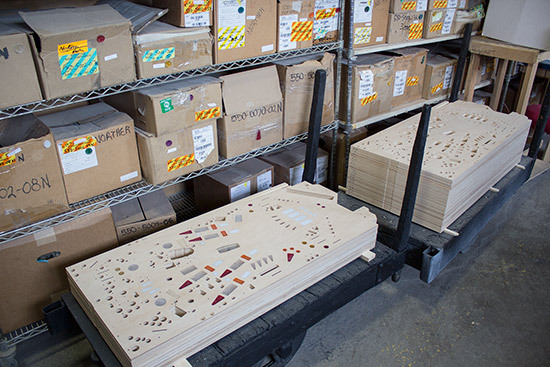 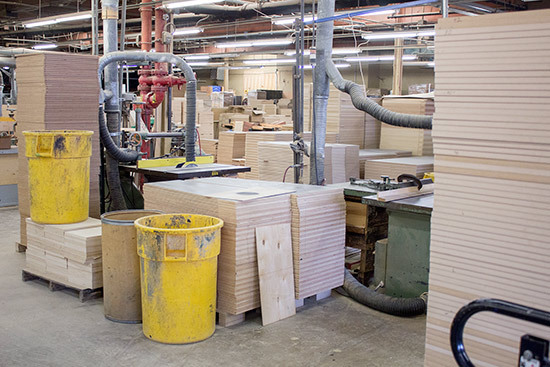 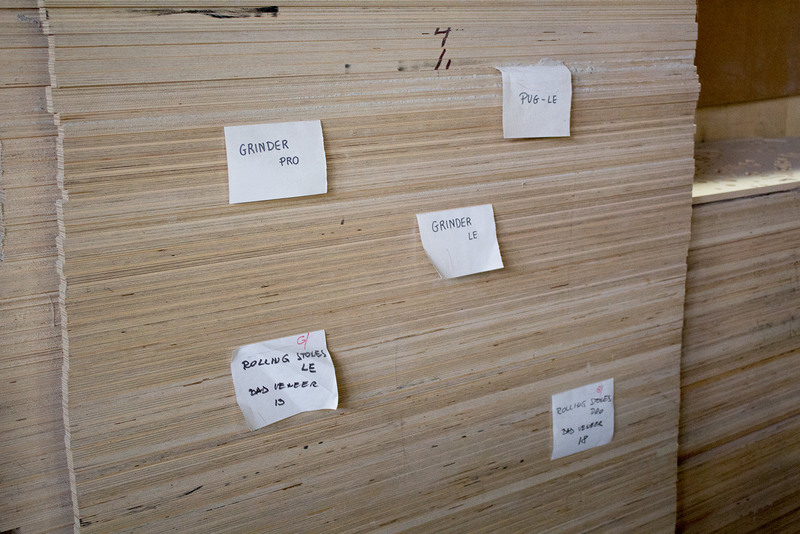 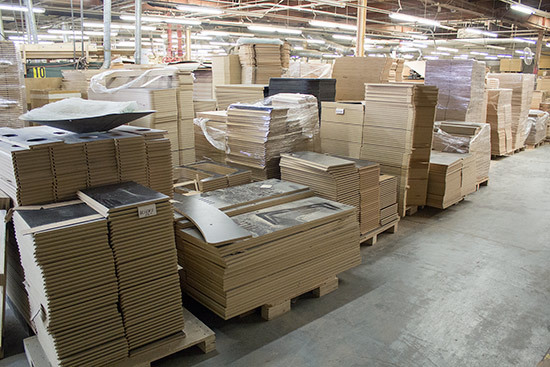 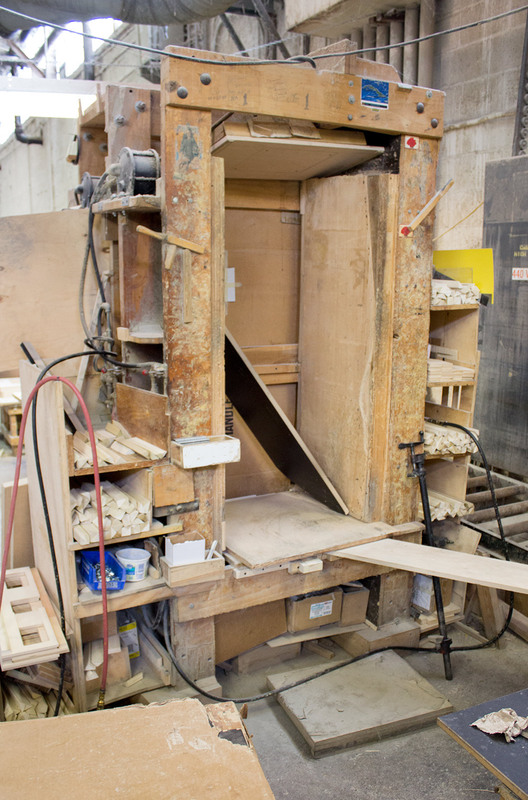 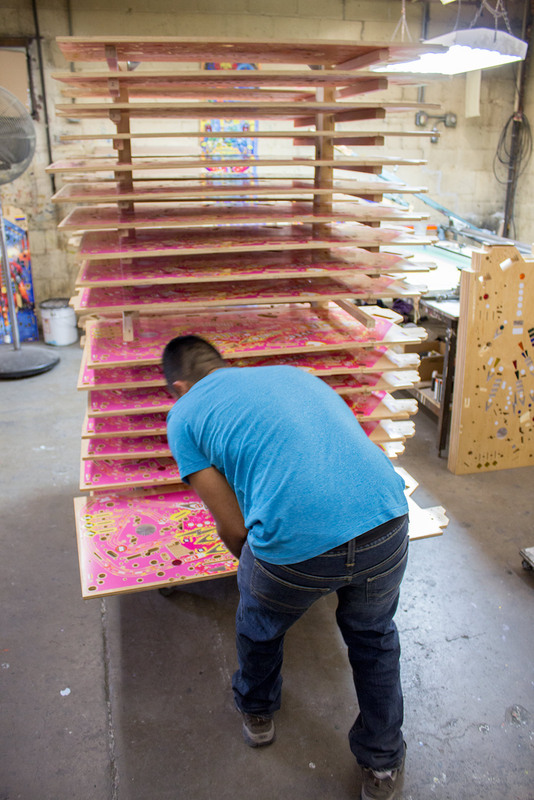 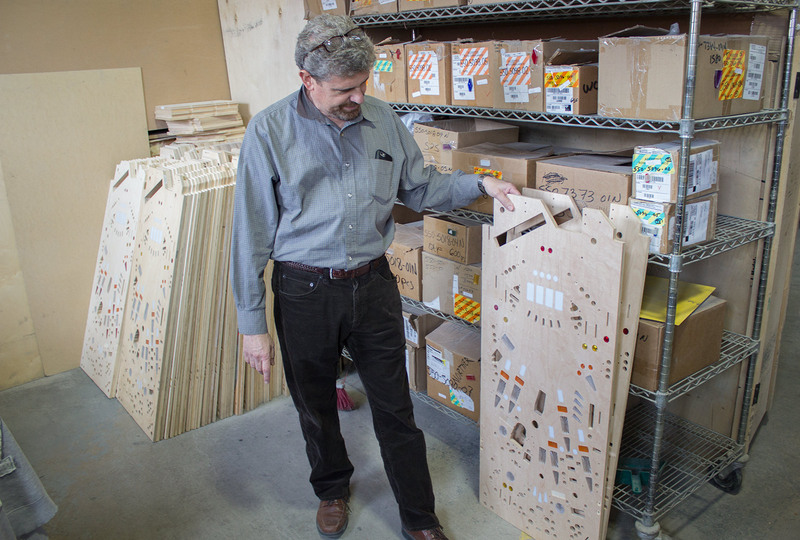 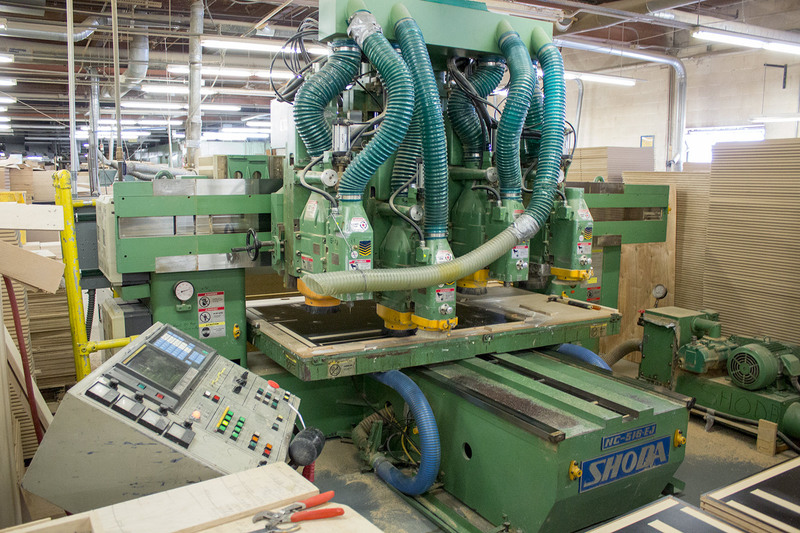 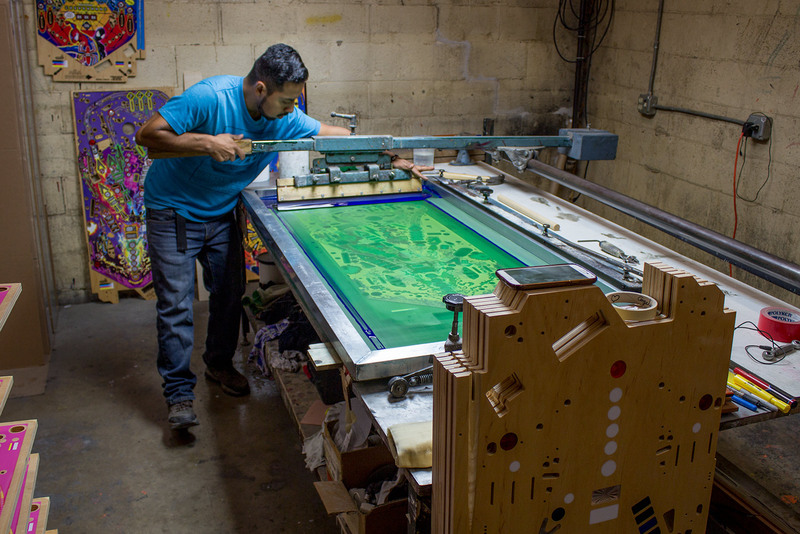 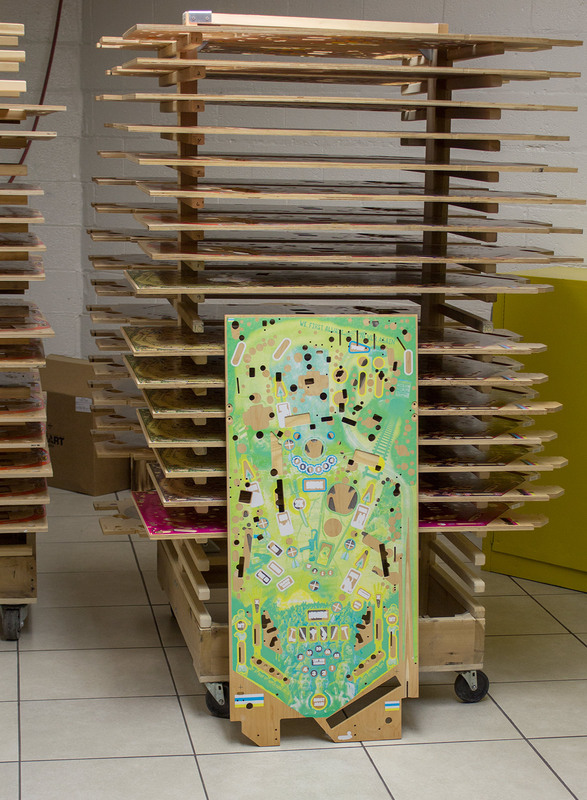 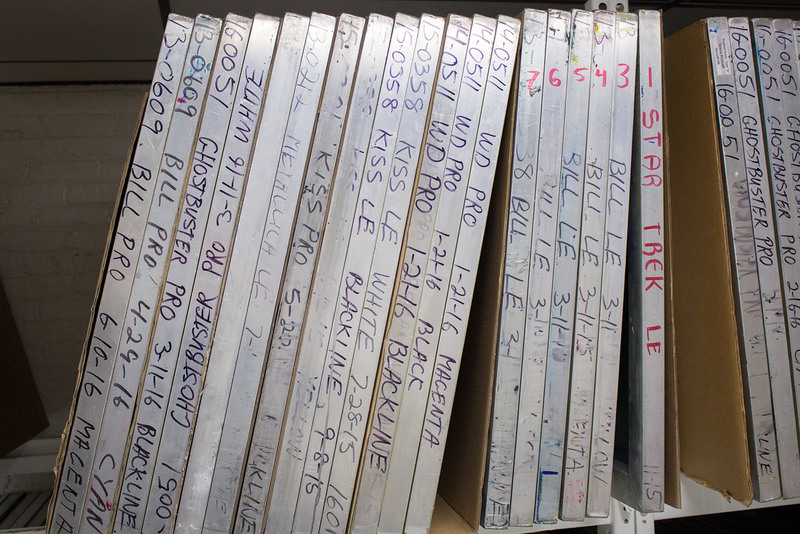 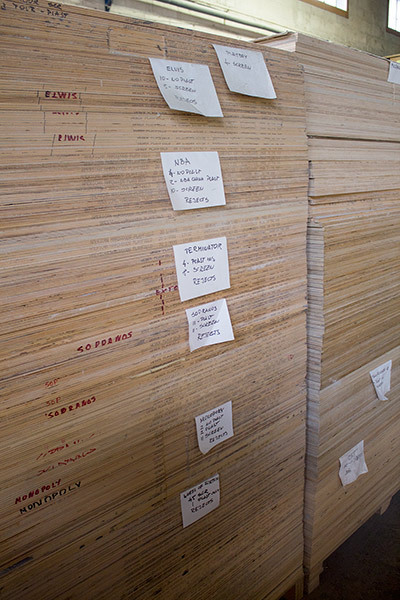 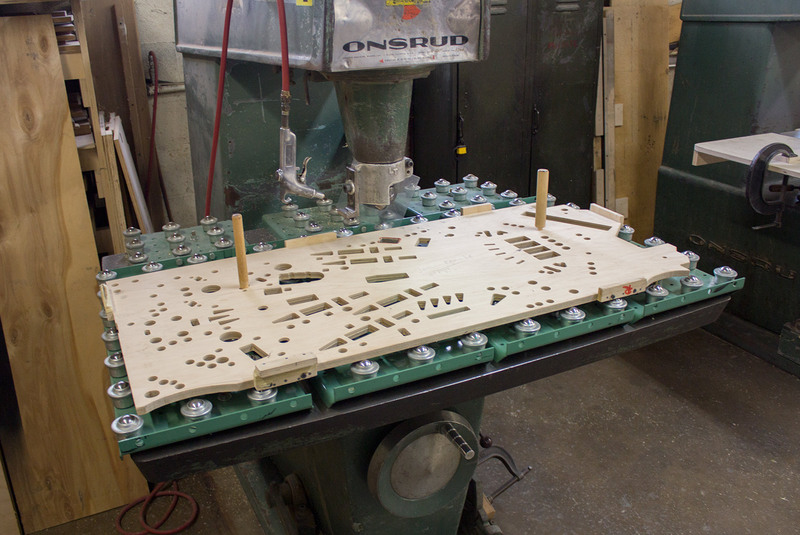 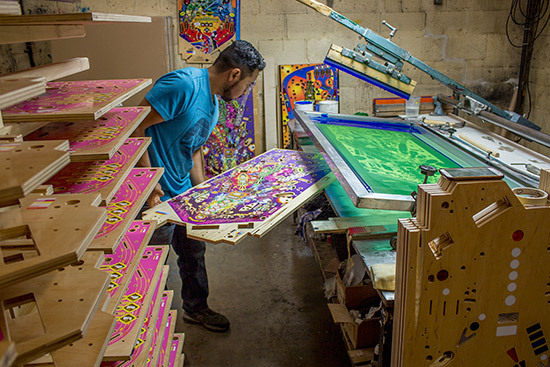 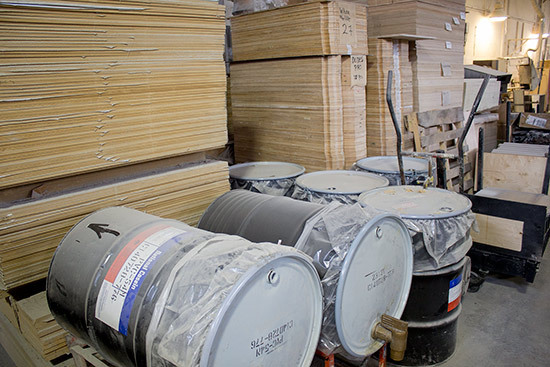 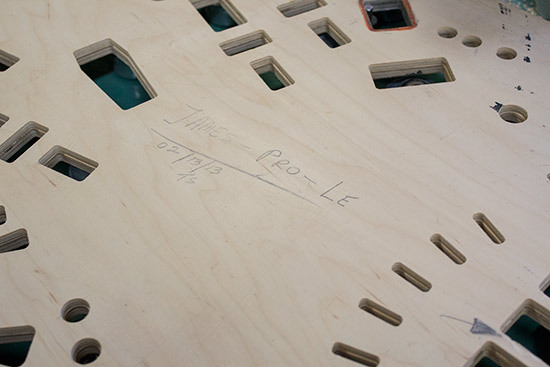 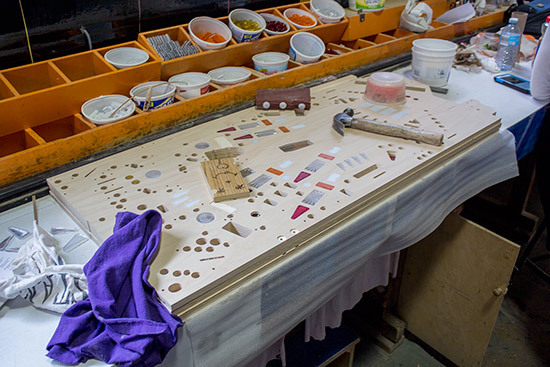 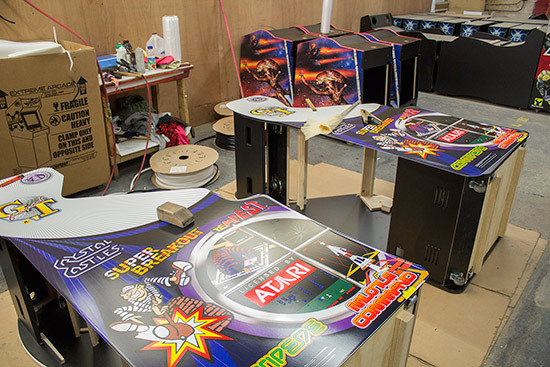 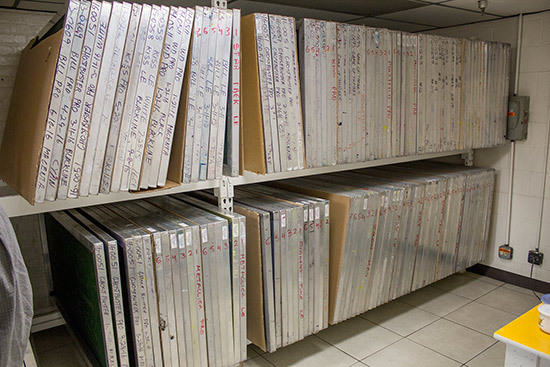 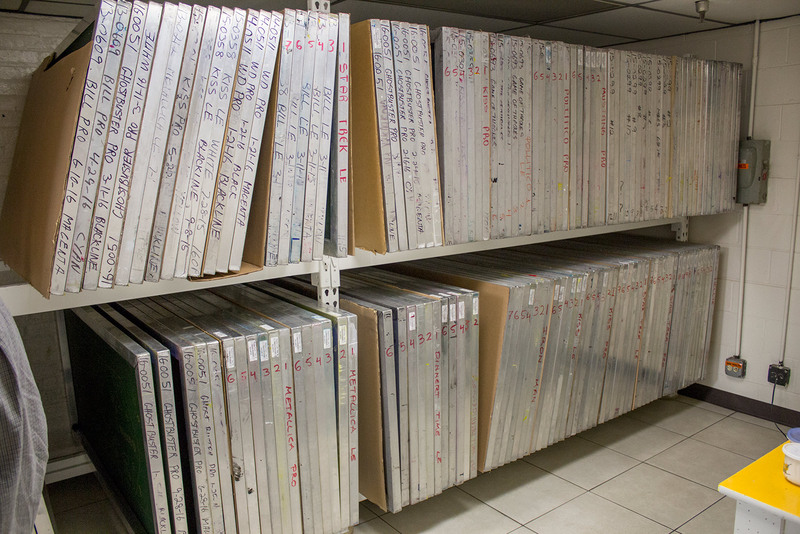 Making cabinets, backboxes or playfields for other game manufacturers such as Stern Pinball, Jersey Jack Pinball and Raw Thrills is the bulk of their work. As we walk further through the factory - it's quite deep - we pass the playfield and cabinet panel routing areas. 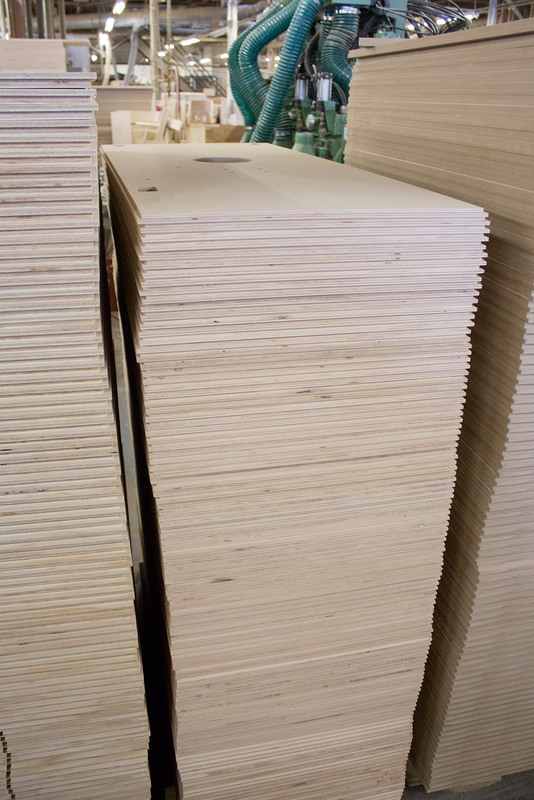 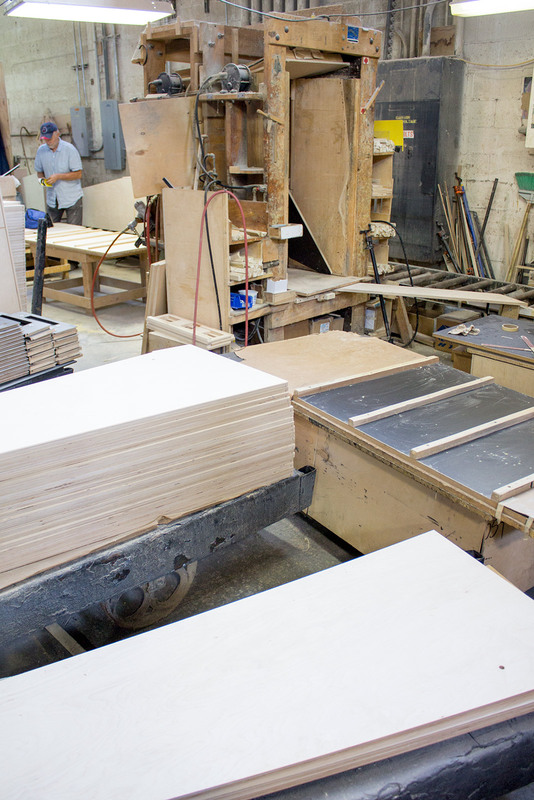 One thing you quickly marvel at is the sheer quantity of plywood sheets around the factory - some plain, some cut and some routed. 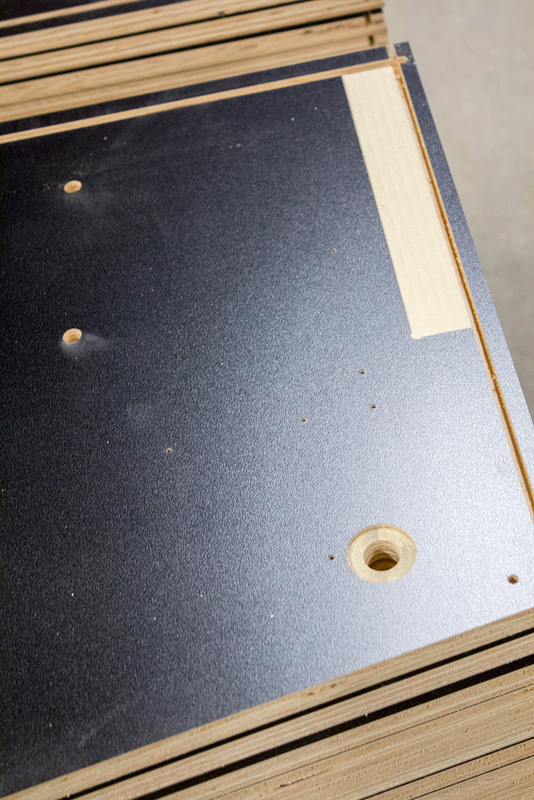 Previously the interior of pinball cabinets would have been sprayed black - usually quite roughly - but they now have a black laminate which is etched away by the routing machine to improve adhesion when other wooden parts need to be glued to the panel. The outer face is treated and spray-painted wood as printed decals adhere better to that than to a laminate. 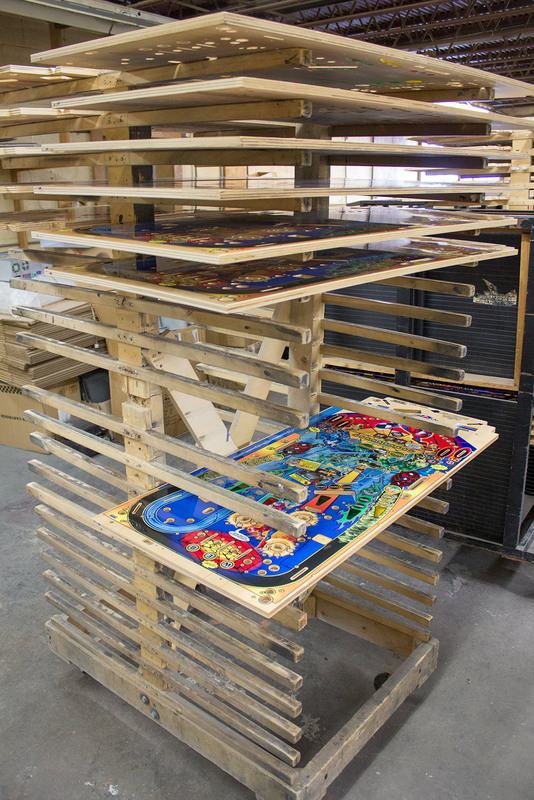 The actual method of building a cabinet looks a little ramshackle but it's a tried-and-tested technique which has produced countless tens of thousands of pinball games. 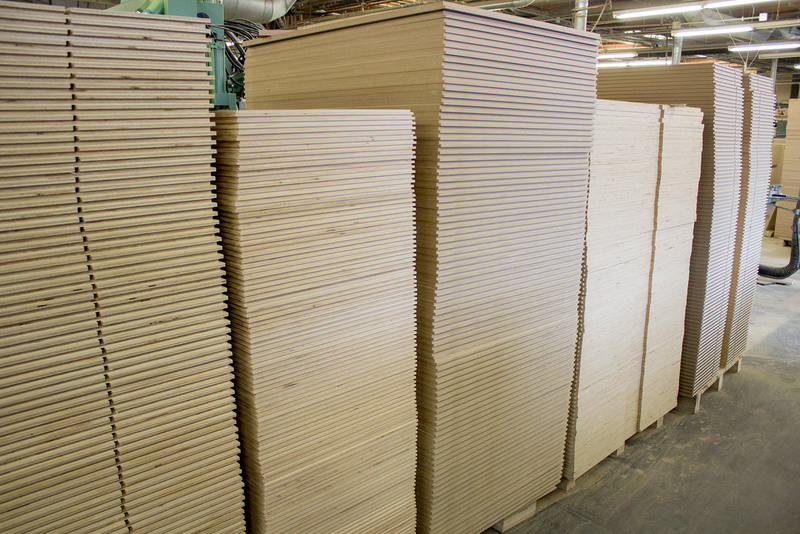 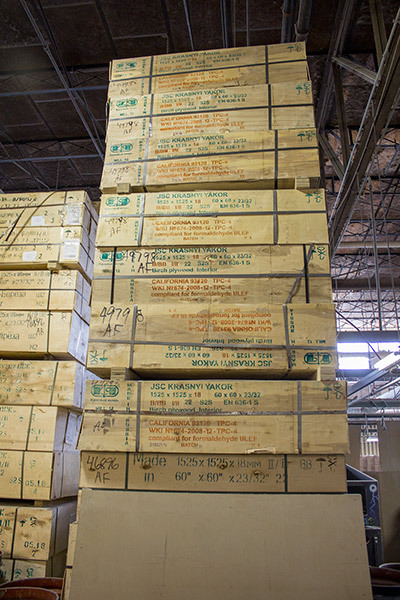 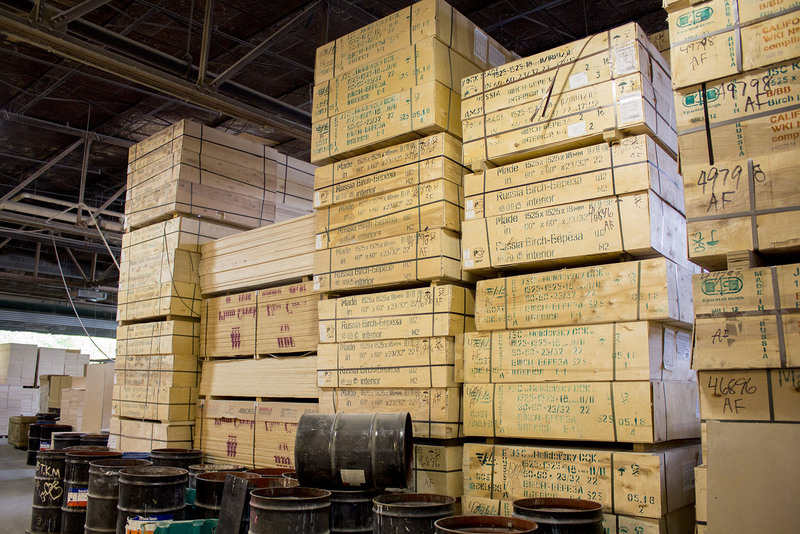 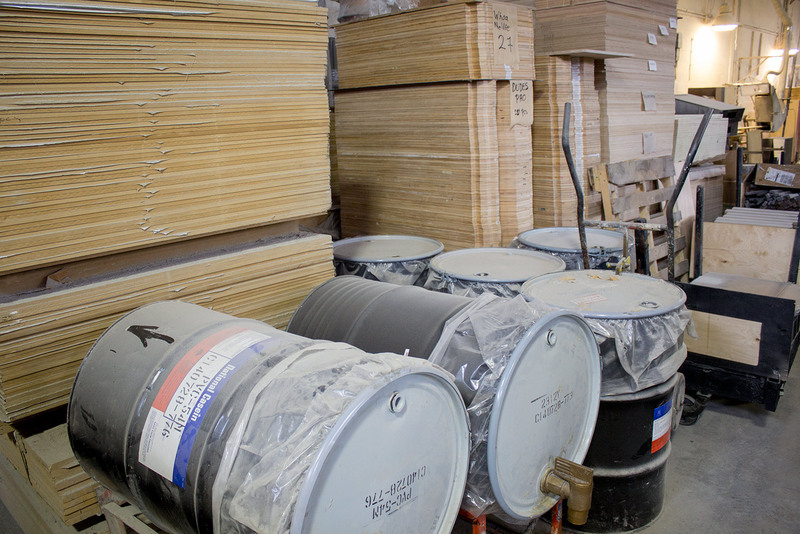 If you are wondering where all this wood comes from, the factory stores large stocks of Russian Birch - a name given to the type of wood whether or not it comes from Russia. 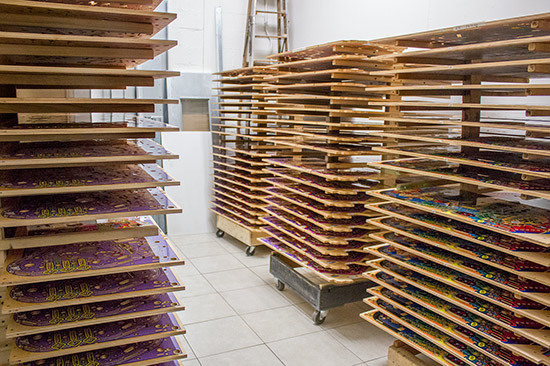 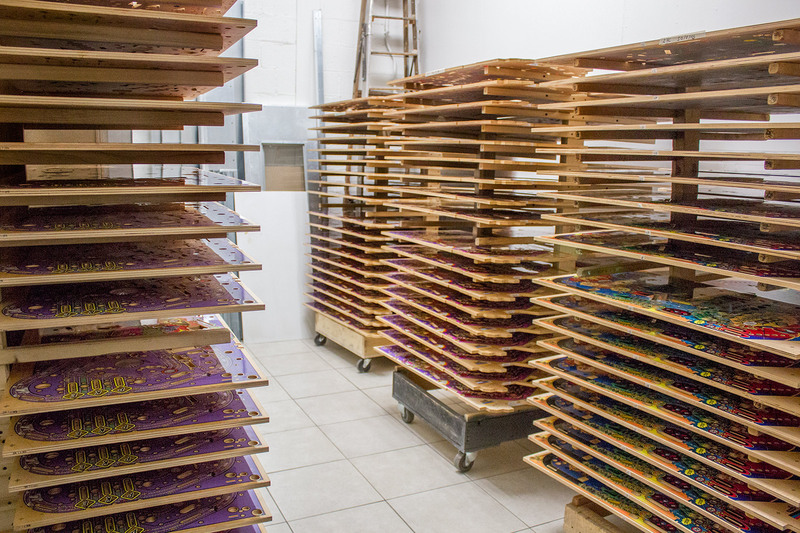 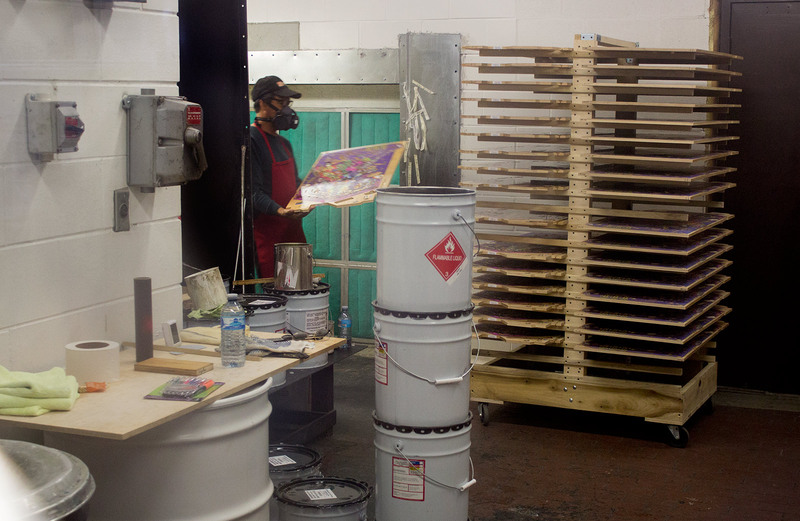 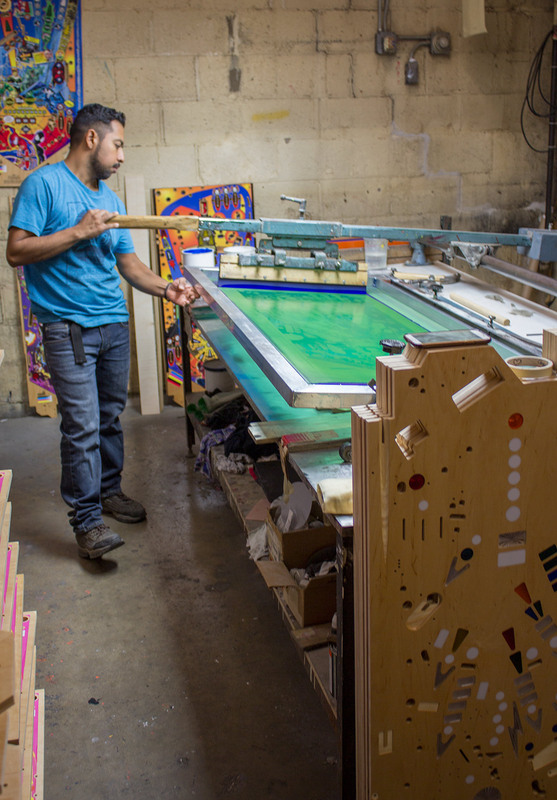 Each ink requires a separate screen to be made. 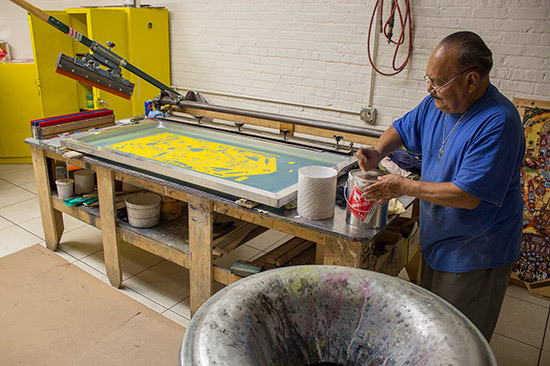 A screen is a semi-porous sheet which allows the ink to pass through in varying amounts in specific areas. Churchill don't make the screens themselves, so before a screen is used it is verified in the screens room. 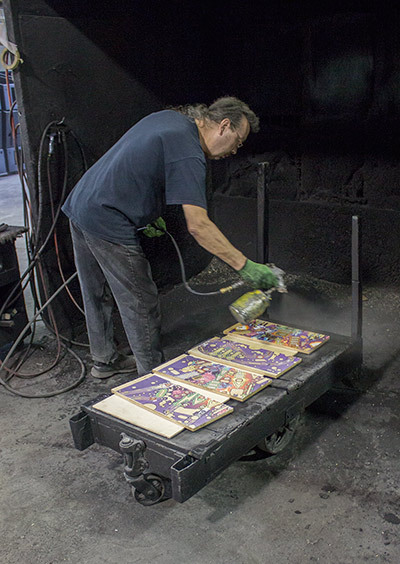 Due to the noxious fumes we weren't allowed in the clearcoating area, but we could see the results which looked very impressive. 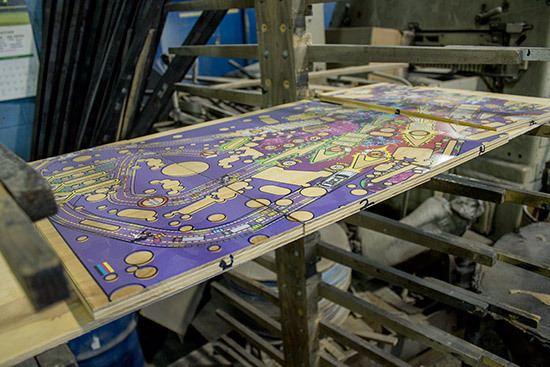 There's no question that before the clear layer is added, the finish of the playfield is very dull and lifeless. The clearcoat brings it alive, making the colours far more saturated and vibrant as well as providing protection to the artwork. 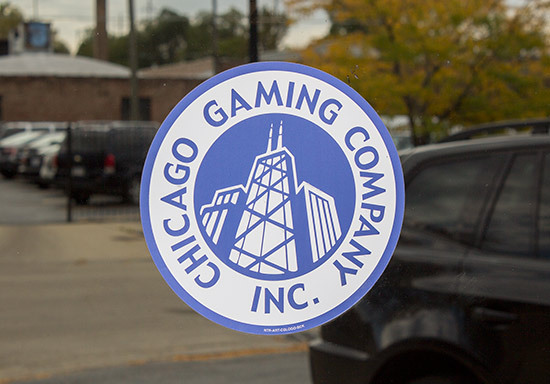 Finally, we were expecting Chicago Gaming Company to announce their second 'remake' title at Pinball Expo, but for various reasons that announcement didn't take place.